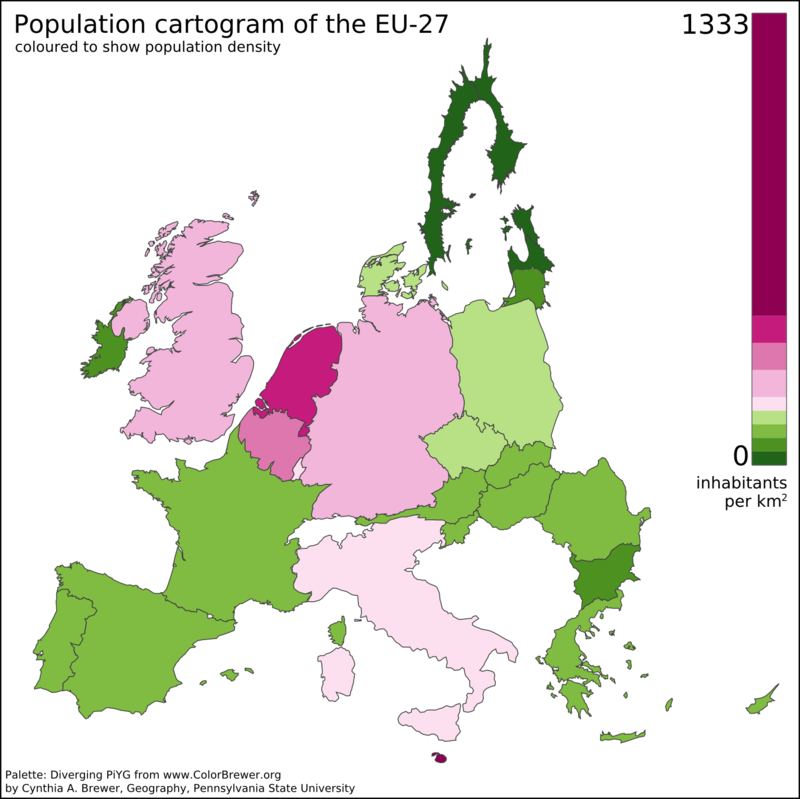 A preliminary population cartogram of the EU-27 made with ScapeToad 1.1 using a cut-down and reprojected public domain world shapefile (projection: Lambert Azimuthal Equal Area) and January 2008 population data from Eurostat. This version includes Dutch barrier islands. This entry was written by Map Maniac, posted on February 19, 2009 at 3:44 am, filed under Cartogram Maps, Continent Maps, Statistical Maps. Bookmark the permalink. Follow any comments here with the RSS feed for this post. Both comments and trackbacks are currently closed.